Welcome to the Oakville Academy School for the Arts! The Oakville Academy School for the Arts Preschool is a school where each student’s unique voice is considered powerful and worthy of being celebrated. A school where each and every learner is known to be competent. Where all children are viewed as individuals with valuable and diverse gifts. Where ordinary everyday moments are seen as containing extraordinary moments of intelligence and learning. A school where every child, parent and teacher counts. 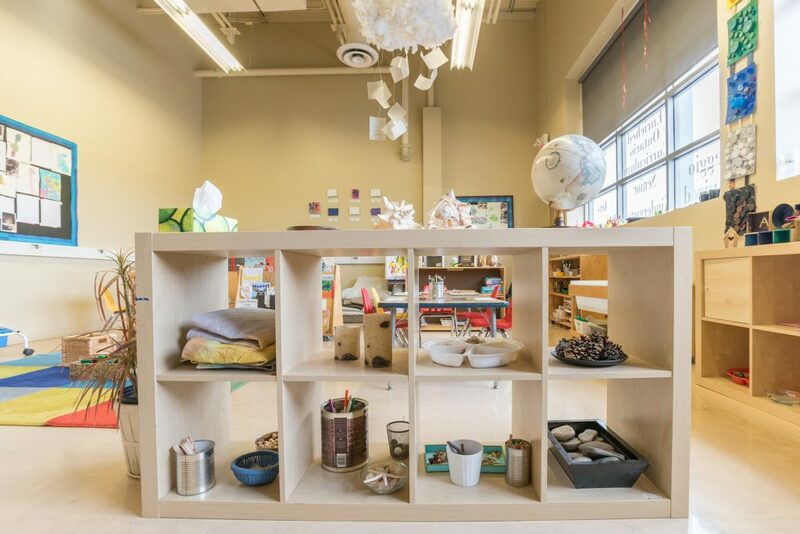 The Oakville Academy School for the Arts Reggio Emilia inspired philosophy and Project-based Emergent Curriculum celebrates a child’s inherent ability to see the world as whole and inter-connected. Our dynamic programs ensure that students spend their formative years developing skills and habits of mind that will prepare them for life as avid creative thinkers and inspired learners. In tandem with our academic curriculum, our Independent Preschool, Junior and Senior Kindergarten programs feature dance, music and the visual arts – all taught by educators and practicing artists committed to honing their craft while pursuing a passion for teaching. 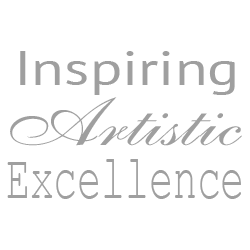 What makes learning at the The Oakville Academy School for the Arts unique and extraordinary? 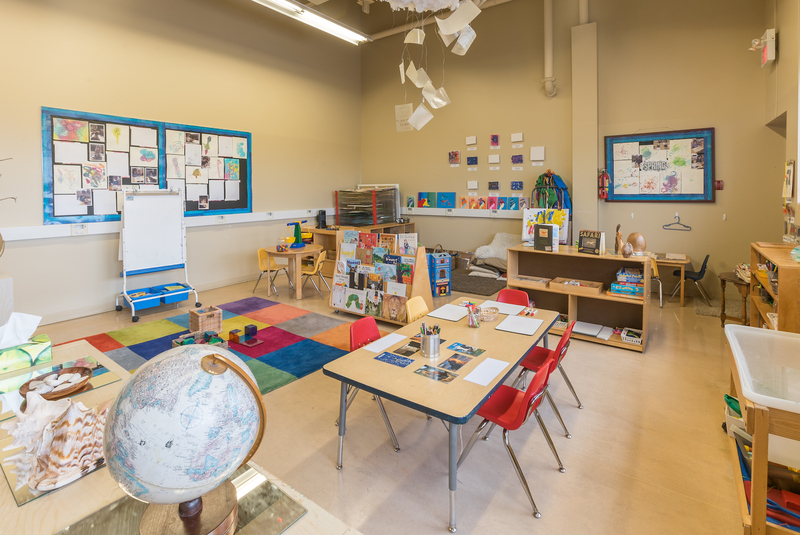 The Oakville Academy School for the Arts is dedicated to a philosophy that sees children as whole, capable human beings, having the right to co-construct their educational experience. We are passionate and committed to creating an atmosphere wherein children feel like valued members of a vibrant learning community and encourage all children to find and voice their unique gifts in a supportive and respectful environment. Our goal is to nurture independent and creative thinkers, enthusiastic life-long learners, active explorers and compassionate and respectful human beings. Within the context of our Project-based Emergent environment, young learners are encouraged, along with their teachers, to decide upon and undertake projects of study that allow for on-going investigation, in-depth study and the ability to develop and internalize skills and concepts from the entire range of curriculum components such as math, language arts, science, social studies, visual arts, music, dance/movement and technology. Within our classrooms, teachers have exciting and daily opportunities to integrate curriculum. Activities that are meaningful and relevant to a child’s life experiences provide intrinsic motivation and allow for teachers to teach across the curriculum and assist their students in seeing the interrelationships of the things they are learning. At our school, students are offered the exclusive opportunity to marry a stimulating, enriching and absorbing classroom experience with dance, music and the visual arts. 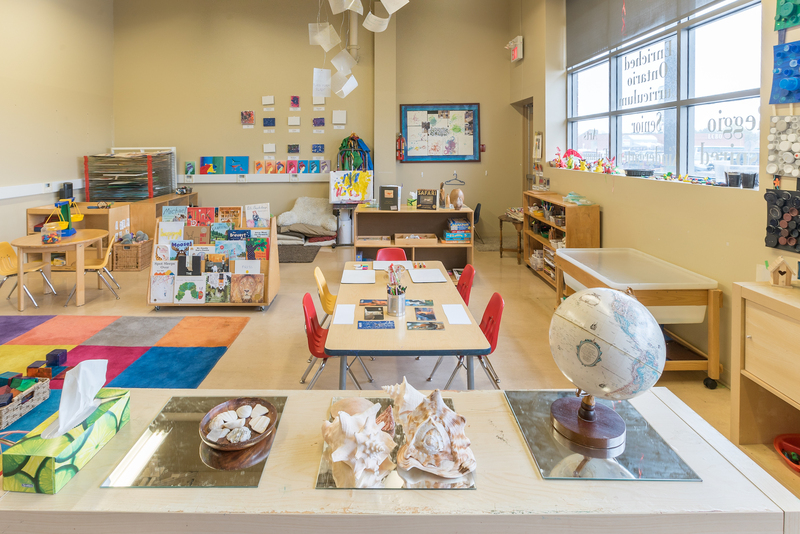 The classroom itself becomes a studio workshop – offering an abundant array of art media, recycled found objects and a host of captivating natural materials. A growing body of research indicates that intelligence is not a single quantifiable ability, but rather a set of aptitudes developed and valued. Professor Howard Gardner, in his widely acclaimed Frames of Mind: The Theory of Multiple Intelligences, describes seven different intelligences through which people think, learn and process information. Project-based learning affords students opportunities to develop and apply these intelligences, thereby accommodating a wide variety of learning styles and temperaments. Engaged learners find excitement and pleasure in learning. They possess a lifelong passion for solving problems and understanding ideas and concepts. Engaged learners understand that learning is social. They are able to see themselves and ideas as others see them, can articulate their own ideas to others, have empathy for others, and are fair-minded in dealing with contradictory or conflicting views. They have the ability to identify the strengths and intelligences within themselves and others. Within our very special Preschool, Junior and Senior Kindergarten Programs, the shift is from teaching to that of learning, with an emphasis on finding personal and meaningful ways to make curriculum areas come alive! We seek to develop in students and ourselves valuable habits of mind and dispositions such as critical, creative and divergent thinking, inquiry, research and problem solving; skills that will put our young learners in the best possible position as they arrive upon the doorstep of future academic experience. Classroom projects and areas of interest will be enhanced with visual arts throughout all programs. Children will learn about colour, texture, form and technique while being able to create their own unique works of art as part of their process of learning. 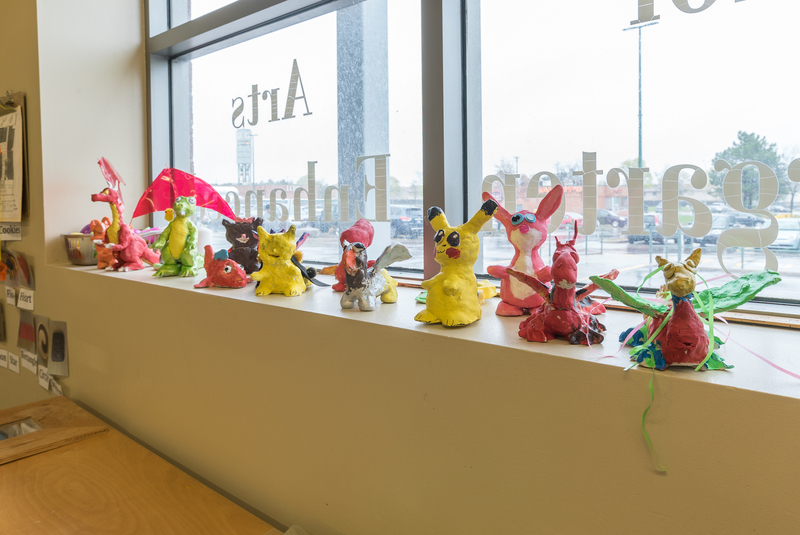 The Oakville Academy School for the Arts programs offer a lovely balance between teacher-guided art experiences and self-chosen, independent opportunities to explore paint, paper, sculpting media, drawing tools and found materials. At The Oakville Academy School for the Arts we view the graphic arts as another language – a language through which young children can concretely represent their ideas, beliefs and burgeoning awareness of themselves and the world in which they live. We celebrate the process of making art and value exploration, creative problem-solving and experimentation! The imagination is an invaluable tool. Our dance specialists will bring each child on a journey through dance using music, imagination and movement to create a variety of age appropriate and dynamic dance experiences. Children will explore the possibilities of what their bodies can do and how it can serve as a magical vehicle for self-expression! Utilizing The Royal Academy of Dance Pre-Primary Syllabus, students will be introduced to proper posture, basic dance technique and a variety of fun and exciting dance opportunities. At The Oakville School for the Arts we view music as “a way of knowing”. According to Harvard psychologist Howard Gardner, music intelligence is equal in importance to logical – mathematical intelligence, linguistic intelligence, spatial intelligence, bodily – kinesthetic intelligence, interpersonal intelligence, and intrapersonal intelligence. Making music is as much a basic life skill as walking or talking! Like Hungarian music educator and philosopher, Zoltan Kodaly, we believe it is a birthright for all people to be able to sing in tune, march to a beat and be able to experience the expressive capabilities inherent to music. Students will sensorially explore music through instrumental activities, listening and singing activities as well as through creative musical movement. In reflecting a Project-based approach to learning, we begin with the students’ interests. We believe that all humans learn best when they are interested, and there can be no intellectual engagement without interest. Our teachers provide resource-rich, investigative environments to encourage student learning and experimentation. As children investigate, they begin to formulate questions. Their teachers model how to ask good questions to stimulate critical thinking and help students learn to differentiate between information that is important and that which is not. In reflecting what is known as a Constructivist methodology, teachers do not “jump in” and provide children with the answers to their questions; the students form their own hypothesis. They research to gather the information they require to test their hypotheses. Children use multiple resources including books, the internet, family members, experts and each other. During this process, young learners make powerful connections between what they already know and new information. As students think critically and reflect upon what they have learned, they are in a position to teach others – expressing what they know through writing (stories, poetry, letters, plays), art (drawings, paintings, collage, sculpture), performance (dance, plays, song, chants, audio and video recordings) and more. At this point in their learning process, they will have come full circle; they have experienced, in a dynamic way, the entire cycle of learning from the very first spark of interest to becoming an expert! They participate in dynamic, stimulating, high-quality half-day sessions that allow them to have rich and varied lives beyond school walls. Class sizes are small and intimate. They are interested and engaged. They have many direct, hands-on experiences; investigating in order to become knowledgeable. Academic skills are integrated into meaningful project work. They have many ways of taking in, sharing and expressing information and learning. They have a rich and wide assortment of available materials with which to graphically and structurally record and represent their ideas, knowledge and process of learning. Schedules are flexible and spontaneous learning moments are celebrated and maximized. They trust their teachers to provide them with the time and resources they need to construct their learning. What is a project and why are projects profound conduits for learning? A project is a careful study of a topic of interest to students. Topics are chosen based on teachers’ observations of children’s play and language and are often connected to something with which the children have already had experience. Projects involve hands-on investigation, finding the answers to questions, reading about a topic, visiting sites or places, talking to other people who know about the topic and representing learning through a variety of media. Throughout the project work, students’ learning is documented by teachers and children through the use of written anecdotes, transcripts of conversations, artwork and photographs. The documented information is used as evidence of the student’s understanding and growth, as a catalyst for future investigations and as a tool for developing self-reflection and planning skills. Projects can last a long time (months), a couple of weeks or a morning, depending on the interest and the potential within the topic itself. Social Emotional Skills: collaboration; sharing ideas; listening; taking turns; persisting when challenged; creating alternative solutions; expressing ideas and feelings through a variety of mediums; taking turns; making decisions and choices; developing confidence in abilities and interests; accepting responsibility; positive associations with learning; sharing ideas; developing empathy, curiosity, initiative; being able to identify and label feelings; developing the ability to interpret facial expressions, gestures and tone of voice; how to identify their learning strengths and strategies; developing community awareness; developing an awareness of the customs of others cultures and how all people are alike and different; developing an awareness of home, school and neighborhood communities; developing independence and the ability to care for oneself in developmentally appropriate ways; developing community awareness. Cognitive skills: how to expand on ideas and elaborate on play; how to reflect on work and revise ideas; developing symbolic play and the ability to use representational objects; developing the ability to match identical objects; colors, sounds and textures; problem-solving. Language/Literacy: writing and drawing as a method of representing ideas, using books and pictures as reference; storytelling; being able to match sensory experiences to descriptive terms, such as sour/sweet, warm/cold, rough/smooth, hard/soft; retelling sequence of events from a story; developing print awareness and, when age-appropriate, strengthening emergent reading skills. The Arts: developing musical appreciation and understanding of rhythm, beat, pitch and tone; acquiring techniques and skills for using a variety of art materials; learning about the properties of various art materials and tools; developing the ability to express their ideas through a variety of mediums, such as art, storytelling, music, dance and creative movement. Science: sorting and classifying; predicting; hypothesizing; theorizing; developing questioning abilities; developing methods of gathering information; observation and documentation. Math: concepts of shape, size, weight, position, symmetry, balance, direction and number; tools and strategies for measurement; positional/quantitative concepts, such as big/little, tall/short, more/less, full/empty, up/down, over/under, beginning/middle/end, forward/backward, next to, front/back, etc. ; developing mathematical concepts and skills, such as one-to-one correspondence, counting, sequencing, seriation, temporal ordering and identification of shapes. Motor Skills: how to challenge their bodies; how to plan their actions; developing fine-motor skills through purposeful manipulation and problem-solving with small objects; developing balance, strength, dexterity, flexibility and spatial awareness through physical movement. Our school operates 5 days per week, September to June, with a variety of programming options. *Students participating in Full Day programming will receive two snacks daily, mornings and afternoons, as well as a catered lunch, including an entrée, fruit and vegetables and small milk. This nutritional component of our program is included in your tuition fees. The Oakville Academy for the Arts also offers an Extended Care Program for children participating in the school program. *The Extended Care program offers one snack every afternoon for children participating in the After Care program. There is no morning snack offered in Before Care. This nutritional component is included in the Extended Care fee. The Oakville Academy School for the Arts is pleased to introduce a new and exciting Toddler program for children 18 – 30 months of age. The OASA toddler curriculum is ever evolving to meet the interests and needs of our students. 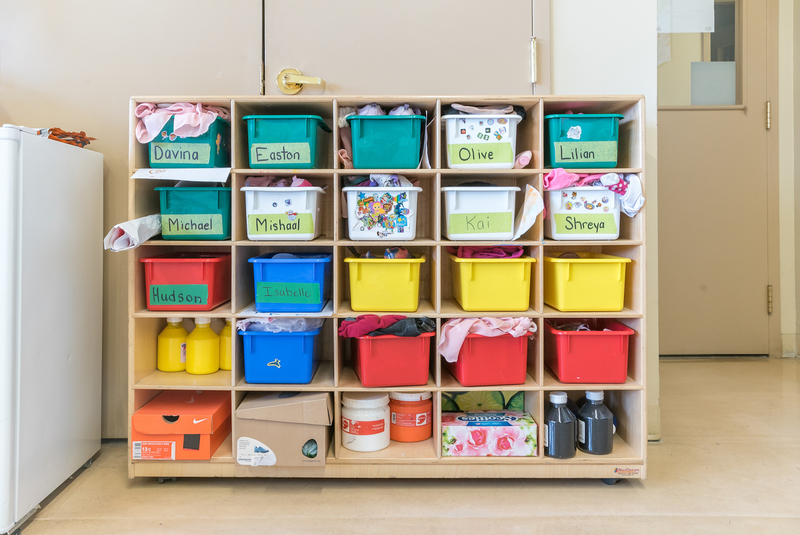 Teacher-directed activities encourage active discussion and experimentation of new concepts and skills while exploratory play stimulates active learning, choice, independence, curiosity and discovery. The schedule is designed to support and guide our toddler students during this early stage of rapid physical and intellectual development with a focus on gross motor, fine motor, sensory, language, and social skills. 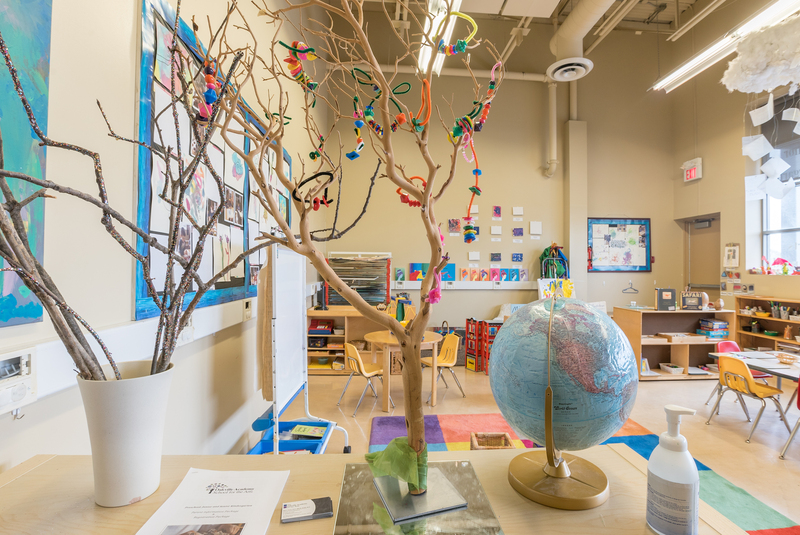 In our Reggio-inspired environment teachers have carefully selected materials for their potential to enhance learning and discovery. Daily experiences are set up to provide hands-on opportunities to stimulate thinking, spark creativity, and encourage toddlers to become more independent in their own learning. 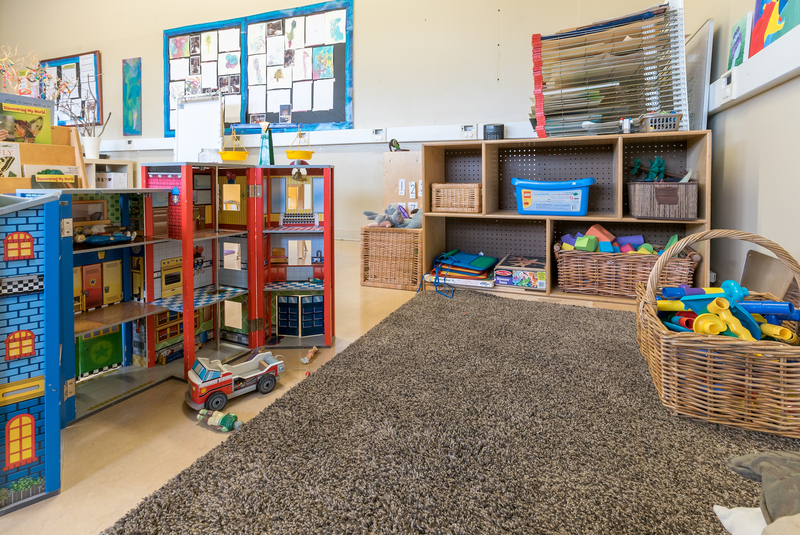 The classroom has been designed to nurture thinking, planning, interaction, communication and reflection as students develop their own independent thinking and take control of their own learning. Our Toddler program offers a ratio of one teacher to five students, allowing for enhanced student learning and more opportunities to participate in one-on-one student – teacher activities to address individual needs and explain new concepts. Working with small class sizes improves the atmosphere and overall learning quality in the classroom. Individual attention is an advantage for young children as it can benefit development socially, academically and physically. The Oakville Academy School for the Arts program is an award-winning play-based program designed with the child’s natural developmental stages in mind. The class focuses on creative self-expression, sensory awareness, problem solving, refining motor skills, honing emerging pro-social communication abilities, building a foundation for future academic skills and cultivating each child’s imagination and unique perspective of the world around him or her. This enriched program is designed for children who will be 3 years of age no later than December 31st of each school year. Our Preschool experience provides the perfect learning introduction to our progressive and award-winning Junior and Senior Kindergarten programs. Preschool students may participate in the Tuesday/Thursday stream, the Monday, Wednesday, Friday stream or Monday through Friday. The Preschool Program is focused on integrating the arts with all other curriculum areas. 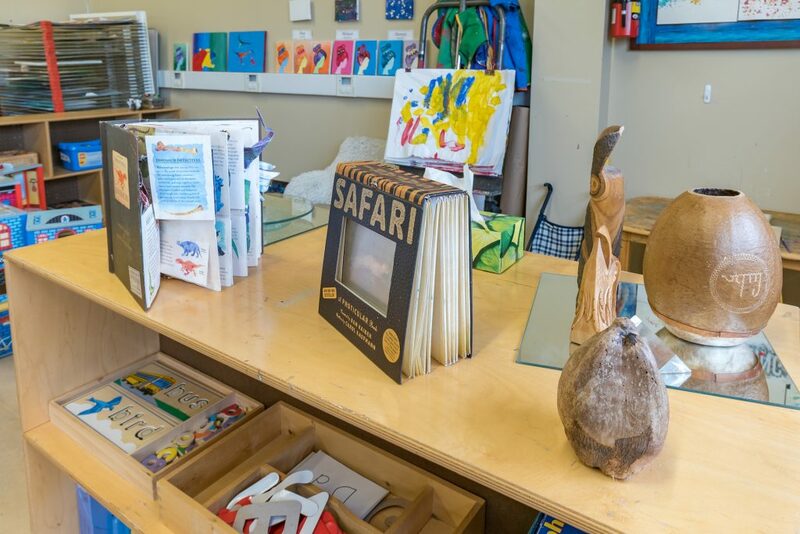 Our arts specialists and early childhood classroom teachers are dedicated to providing a gentle and safe learning environment wherein the development of language, math, science, social emotional and arts skills are fostered in a developmentally appropriate, play-based fashion. Like our highly regarded Junior and Senior Kindergarten Programs, year after year, the feedback received from parents of students having moved on from The Oakville Academy School for the Arts program is consistent: the level of preparedness for Junior Kindergarten is exemplary; the social competence and emotional intelligence with which the students enter their Kindergarten environments is unparalleled, co-operative play skills are firmly in place and the focus and ability to attend to classroom tasks is superb! The Oakville Academy School for the Arts’ Kindergarten Program is an award-winning program offering an arts-enriched learning environment for children turning 4 years of age by the end of December each school year. 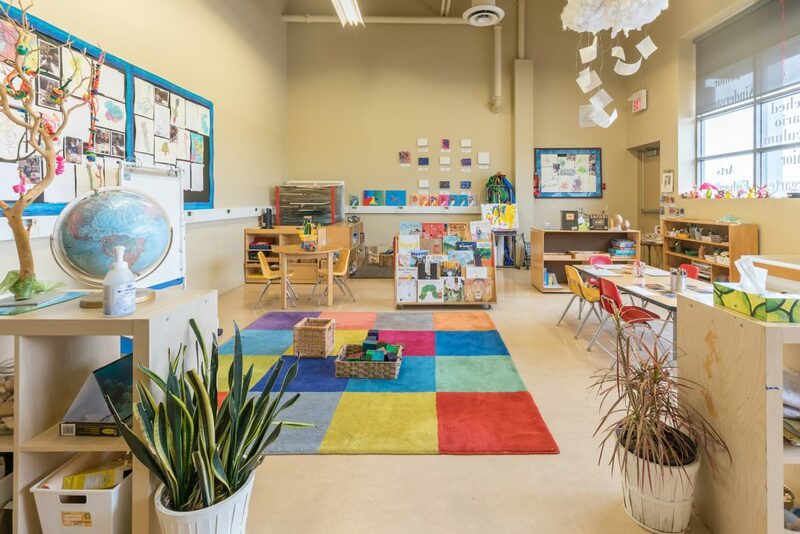 Following an enhanced Ontario Government Kindergarten curriculum, our highly skilled teachers and arts specialists will provide your child with the opportunity to master skills in all academic areas. Our Junior Kindergarten Program is dedicated to a philosophy that sees children as whole, capable human beings, having the right to co-construct their educational experience. We passionately work toward the creation of an atmosphere wherein children feel like valued members of our learning community and encourage all children to find and voice their unique gifts in a supportive and respectful environment. 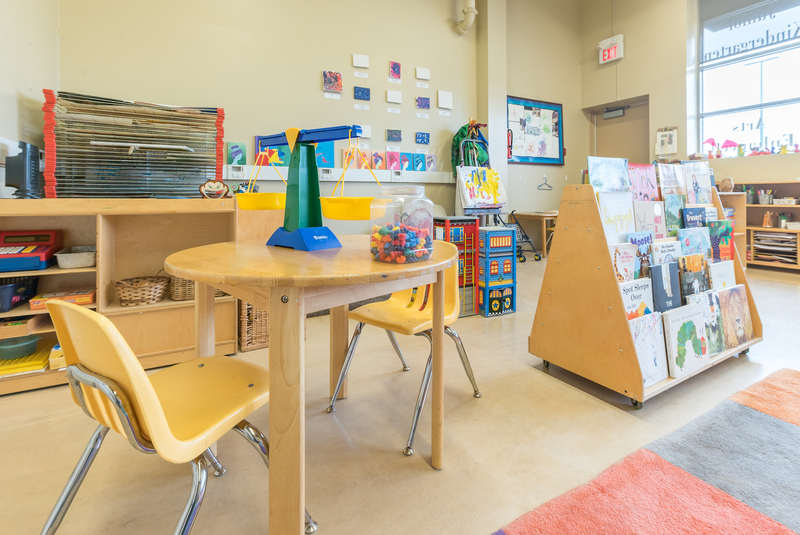 Unlike other Junior Kindergarten programs, ours will maintain an unparalleled ratio of one teacher for 8 students, allowing for optimum support during individual investigations, skill development and group project work. Small class sizes allow teachers to customize curriculum and make learning meaningful for individual learners. At The Oakville School for the Arts, the Junior Kindergarten program will offer your child the exclusive opportunity to marry an introduction to formal learning with dance, music and the visual arts. The classroom itself will become a studio workshop of sorts – offering an abundant array of fine art media, recycled found objects and a host of captivating natural materials. 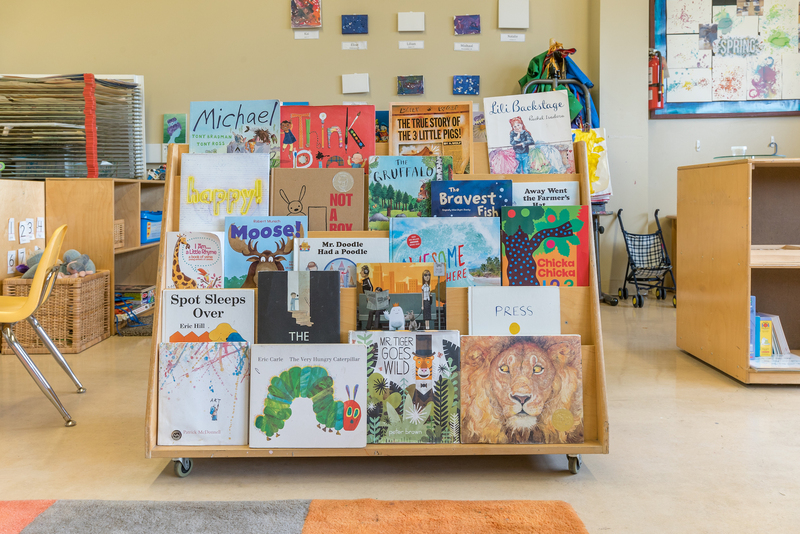 These resources, combined with well-chosen learning toys and materials will offer children the opportunity to make meaningful personal choices on a daily basis. Year after year, the feedback received from parents of students having moved on from our Kindergarten programs is consistent: the level of preparedness for Grade One is exemplary; the social competence and emotional intelligence with which students enter their new Grade One environments is unparalleled and the focus and ability to attend to classroom tasks is superb! The Oakville Academy School for the Arts’ Senior Kindergarten Program is an award-winning program offering an arts-enriched learning environment for children turning 5 years of age by the end of December of each school year. 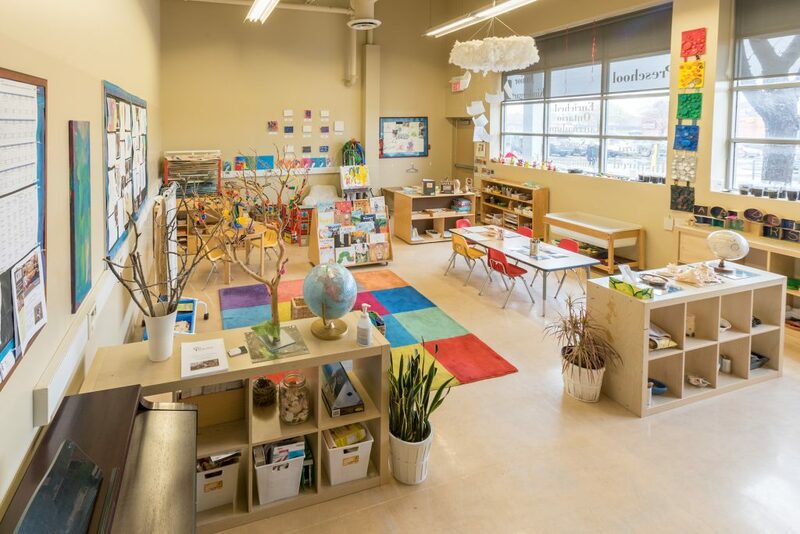 Following an enhanced Ontario Government Senior Kindergarten curriculum, our highly skilled teachers and arts specialists will provide your child with the opportunity to master skills in all academic and arts areas. Unlike other Senior Kindergarten programs, ours will maintain an unparalleled ratio of one teacher for 8 students, allowing for optimum support during individual investigations, skill development and group project work. Our small class sizes allow teachers to customize curriculum meaningfully for each individual learner. At The Oakville Academy School for the Arts the Senior Kindergarten program will offer your child the exclusive opportunity to marry an enriching and absorbing introduction to formal education with dance, music and the visual arts. The classroom itself will become a studio workshop of sorts – offering an abundant array of fine art media, recycled found objects and a host of captivating natural materials. These resources, combined with well-chosen learning toys and materials will offer children the opportunity to make meaningful personal choices on a daily basis. Please contact the school to arrange a program tour and to chat with a member of The Oakville School for the Arts teaching team. Place a $500.00 non-refundable deposit with The Oakville School for the Arts front desk administrator to secure your child’s position and schedule within the program of your choice. Complete an information and registration package and submit the package to The Oakville School for the Arts front desk administrator. Program Registration Packages and Tuition Schedules can be picked up at the Oakville Academy for the Arts, 1011 Upper Middle Road East or phone us at 905 844 ARTS. Come visit us and see first hand the inspiring environment we have created for our students!